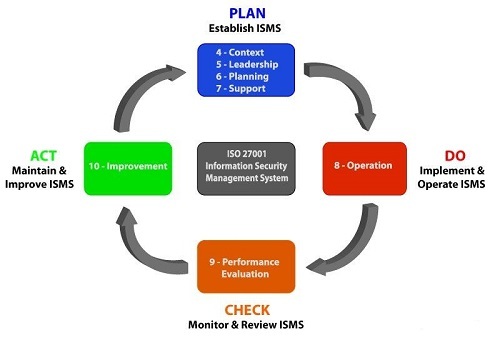 ISO 27001 specifies the management of Information Security. Applicable to all sectors of industry and commerce, it is not confined just to information held on electronic systems, as a number of people seem to believe, but addresses the security of information in whatever format it is held. Information is now globally accepted as being a vital asset for most organisations and businesses. As such, the confidentiality, integrity, and availability of vital corporate and customer information may be essential to maintain competitive edge, cash-flow, profitability, legal compliance and commercial image. ISO 27001 is intended to assist with this task. It is easy to imagine the consequences for an organisation if its information was lost, destroyed, corrupted, burnt, flooded, sabotaged or misused. In many cases it can (and has) led to the collapse of companies. Shows that a commitment to Information Security exists at all levels throughout an organisation.